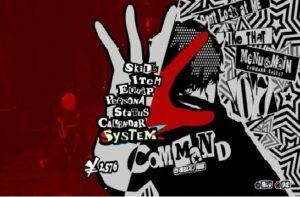 This article aims to introduce a list of missions arising from the game “Persona 5 (P5)”. This article will introduce the information that is useful for different missions and the condition (s) of discovering the target, clearing the area, rewards and so on. The mission will be added to the request in two ways, “Story Progress” and “Coop Progress”. When you make a request, you can collect it at the hideout and check “by seeing the request.” You can reach it by destroying the target with Mementos after listening to everyone’s opinion. There are cases where the target is unknown in missions after the midst of the story. There are also things that get target information if you do visit each store. Winners Don’t Use Cheats 9/4 Yoshikuni Nejima Akzeriyyuth 5 B None None Null Physical (Skill Card) Unlock Tower Confidant (Shinya Oda) to finish this mission. I mean no offense, however, anything written on this website by HollowSnow is assuredly incomplete and makes no sense. I hope in the coming future it can be updated by someone like Wolf Knight. can a helpful passerby at least tell if there exists such a guide for the mementos missions? A formidable share, I simply given this onto a colleague who was doing a bit evaluation on this. And he in fact bought me breakfast because I found it for him.. smile. So let me reword that: Thnx for the treat! But yeah Thnkx for spending the time to discuss this, I feel strongly about it and love studying more on this topic. If attainable, as you grow to be experience, would you thoughts updating your blog with more particulars? It is extremely useful for me. Big thumb up for this blog put up! I have been reading out some of your articles and i can claim pretty clever stuff. I will make sure to bookmark your website.